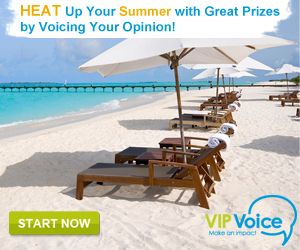 Join VIP Voice and complete surveys for VIP Points and be entered into $1000 Registration Sweepstakes! Complete surveys to earn VIP Points that can be used for sweepstakes entries and auctions. Prizes include vacations, electronics, appliances, and more.